The end of the game. Model kit is constructed, all the hopscotch squares are filled. The participants only have to get the prizes. Pursuers did not manage to catch up with the leader. Chess world congratulates Veselin Topalov, the new champion, and starts discussing the probability of his match with Vladimir Kramnik taking place, in hope that long-suffering reunification process will be finalized. And I sit and think whether I have to go on playing with Cortazar's books names, or turn to Borges, who has a story named «Funes, the Memorious» (the championship was held in the hotel named «Portero de los Funes»), and maybe use «The Garden of Forking Paths» following Sergey Shipov. I come to the conclusion that there is no use to do so, because such kidding is good only within reasonable limits, and what is more important I have neither enough strength nor time for it. – Uncle Gena, and what did Father Frost bring you? – Oh, Borya, losses is the only thing he brings me, – father said without concealing the sorrowful truth. – Oh, and show it to me please! – a child asked. And I think what the world chess championship in Argentina (also called WCA by Misha Savinov) has brought me. First of all I think about not getting enough sleep, about my red eyes and backaches, and only then – about the so-called happiness of involvement. Sergey Shipov is extremely right – we have to thank the Argentinean organizers, but henceforward held the championships only in Australia – it will bring us the games in more favorable time. But do not take my laments too serious. One can renounce a healthy life-style for a couple of weeks to watch the birth of the new world champion. 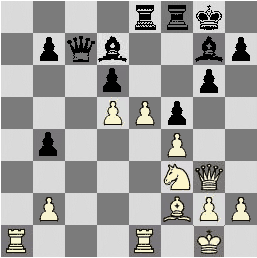 During the last playing night, grandmasters presented the chess fans with two more full-blooded encounters, but I would like to proceed without delay to the best fragments of the tournament, and because as I am a self-respectful journalist, I should reserve the concluding review for discussing general tendencies of chess development in light of the changes brought by this competition. A cultured pretender Ilya Odessky has already made sort of serious comments on this website, so I would also like to do it. The stupid roll-call scheme is sweeter and more understandable than the others, so I will just call out the participants according to their places, give brief characteristics and assess their contribution to the WCA creative contents. TOPALOV. He is the perfection in every respect, except for a couple of missed goals and the first round opening amnesty. Veselin had purposeful many-handed preparation and he is able to keep the voltmeter finger in the required position. We also should mention his extraordinary persistence in finding the resources – on different game stages and board sections. The question "Why should we love our new king?" can be answered with the following fragments. 22.h5! It turned out that had nothing to oppose nothing to the subsequent White's forces regrouping. The finishing blow 35.¦c7! is very good. Careful study of Topalov's second's games brought moral advantage that allowed saving more strength for time trouble arm wrestling. 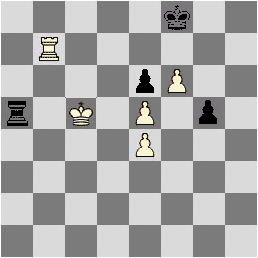 Rook endings can be won! Mistakes in the won positions against Anand and Morozevich complete the image of a giant that is not devoid of human weaknesses. ANAND is a great chess player, whose numerous skills do not include patience and an ability to play under great tension, pressure and other physical influences. 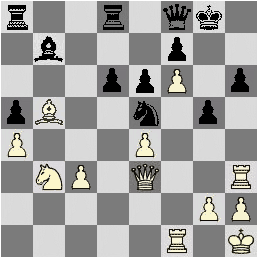 It is proved by both lost games and draws with Topalov (round 2) and Morozevich, though I would like to thank him for the latter one. 19.Ґxh7+ ўxh7 20.Јh5+ ўg8 21.¦d3 f5 22.¦h3 Ґc5 23.¦ff3 Ґxd4 24.¦fg3 ¦b7 25.Јh7+ ўf7 26.Јxg7+ ўe8 27.Јxf8+. Drawn. 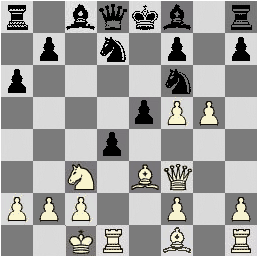 In round 3 Vishy also made many sacrifices, but reserved enough pieces to imprison the opponent's king. He also reminded that he can produce opening ideas and not only use other's ones. 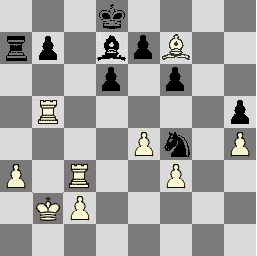 SVIDLER gets +3 without bluff and sport malice. Only the real classic can do something like that. If there were more Hungarians and Russians in the tournament, Petya would have got the first prize. 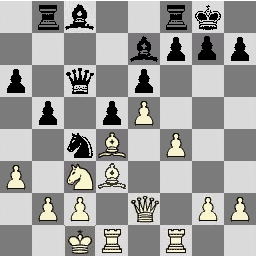 41.¦xh5 ¤xh5 42.Ґxh5, and White won. 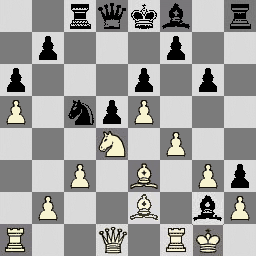 Moving g- and h-pawns in such positions was always considered to be White's prerogative. 22...h6! It is possibly the most paradoxical move of the championship – if we take only strong ones into consideration. 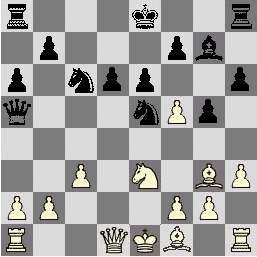 23.gxh6 gxh6, and Black got the initiative to the spectators' surprise. MOROZEVICH revealed fantastic resourcefulness in defending difficult positions and insufficient inventiveness in attacking the easy ones. 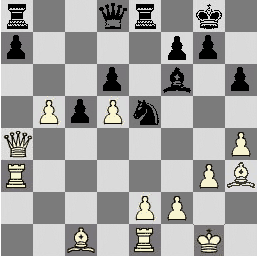 Morozevich's brand outflanking – and Black's position changes from dubious into almost winning one. 28...Јc4 29.¦ad1 Ґa4 30.¦d2 Ґc2 31.h4 Ґe4 32.¦d4 Јb3 33.¤g5 Јxb2 34.¤xe4 fxe4 35.¦dxe4 dxe5 36.Јd3 Јc3 37.Јb5 b3 38.¦4e3 Јc2 39.¦xb3 ¦d8 40.Ґb6 Јd2 41.¦bb1 ¦xd5. A draw. Apotheosis of Alexander's defense marvels in the tournament. 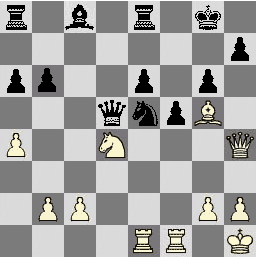 43...¤e4 44.Јe5 ¤d2 45.Ґa2 Јb6 46.¦c2 Јf2 47.¦xd2 Јxd2, and Black feels himself much better with extra exchange. Minor pieces are more suitable for successful attack. LEKO. Peter as we know him cannot lose four games in one tournament. It is clear that a bunch of mistakes of different kind was the reason of his failure. 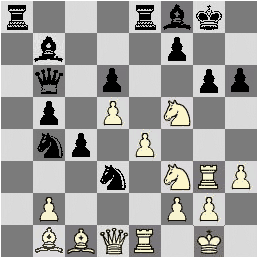 Particularly, in his games with Topalov and Morozevich he lacked the piercing strength in the attack. 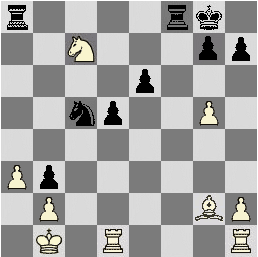 In the last round game one had to take more delicate measures, and Leko was up to the mark. 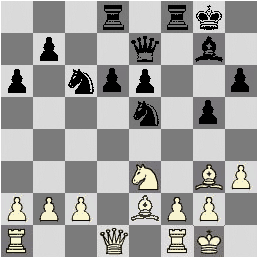 The mole-like rook's activity on the kingside is supported by crafty knight on the queenside. KASIMDZHANOV has a reason to consider himself the unluckiest person of the event. He got a poor points harvest with very rich play. 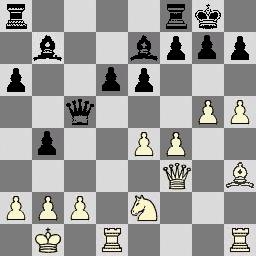 Having done some obvious opening preparation mistakes, he still managed to amaze Anand with a perfect novelty. 18.Ґh5!, and Black got disappointed. 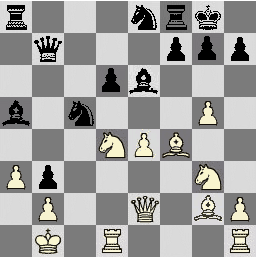 The game with Svidler is the benefit performance of present FIDE ex-world champion. Peter hardly managed to reload his guns. 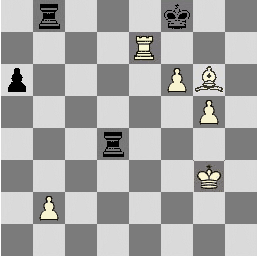 ADAMS did not win a single game, although he was not far from winning in the last round. And, generally speaking, he made progress every segment. The tournament turned out to be too short. Michael's fresh opening idea could catch unaware anyone but the new world champion. 24.¤e2 ¤f7 25.¤f4 Јc6 26.¤h5. It is risky to accept the sacrifice, and, considering the status of the competition, it is prohibited. 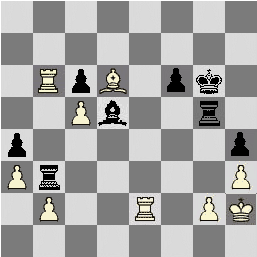 Had Veselin had this position during preparation, as in the game with Anand, it would be a different story... and now he loses an exchange himself. 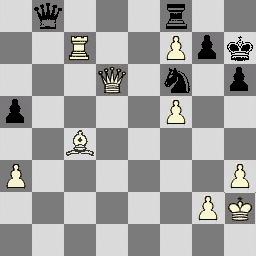 26...¤xg5 27.¤f6+ ўf7 28.¤xe8 Ґb7 29.¤d6+ Јxd6 30.Јxg5, and the game ended in a draw. POLGAR. Queen made a brilliant display of herself only once. And even here the opponent missed a real chance to switch the dimmer on. 13.Ґxd4 exd4 14.¦xd4 Ґg7 15.¦g1 ўf8 16.Јe3 Јe7 17.Јd2 h6 18.gxf6 ¤xf6 19.¦d8+ ¤e8 20.Ґb5 axb5 21.¦e1 b4. Let us finish here. I will not cite Judit's move. All the previous series is marvelous. So, there were a lot of pearls in Argentina. In future we will put them out and enjoy from time to time. And now it is time for tango!